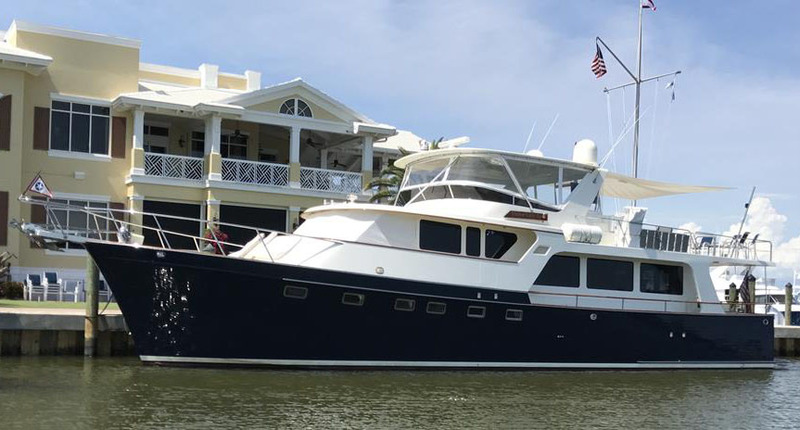 Harbor Lady II is a very unique Marlow 65 Explorer because of her superior veranda above the aft deck with railings perfect for entertaining el fresco. Harbor Lady II is 74′ long from bow to end of swim platform and feels like a much larger yacht. She boasts beautiful stain “honey teak paneling” and teak and holly soles throughout. 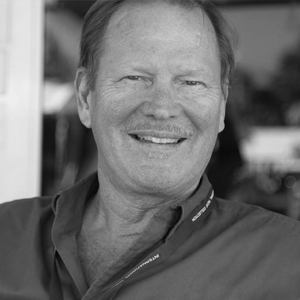 Marlow joiner work is among the best in production yacht builders. On the main deck Harbor Lady II has a large pilothouse with a dining settee and an open galley. There are doors on each side which lead to open walkaround side decks and stairs up to the flybridge as well as steps to the forward staterooms. The Master stateroom and double head run the width of the boat and includes a king size bed, two full size closets, a tremendous amount of storage space, a laundry area, and plenty of built in lighting. All of the staterooms have high ceilings (between 6’8″- 6’10”) which is incredible for a boat this size. The boat is 74′ long from bow to end of the swim platform. Below deck is the VIP stateroom which is also very spacious and bright with stain finish honey teak joiner work and an ensuite head and shower. This stateroom has a custom queen size bed which is about 7′ long in the centerline. As a result of Marlow’s cored hull and superior insulation this cabin is very quiet and comfortable to sleep in. There is also a guest Mid-Cabin with bunks and it’s own private head and shower. The Main Salon is elegantly and tastefully decorated with satin finish honey teak paneling and joiner work. There is ample seating for several guests and well placed end tables for lamps. This is a very warm and inviting area of the boat. There is a portside Salon Bar and well as an open galley. Harbor Lady II is a classy boat with lots of open space both inside and outside. Equipped with many “extras” she surely will not disappoint!